A BUILDING once used to save people's lives will now be used to help focus on saving the environment. 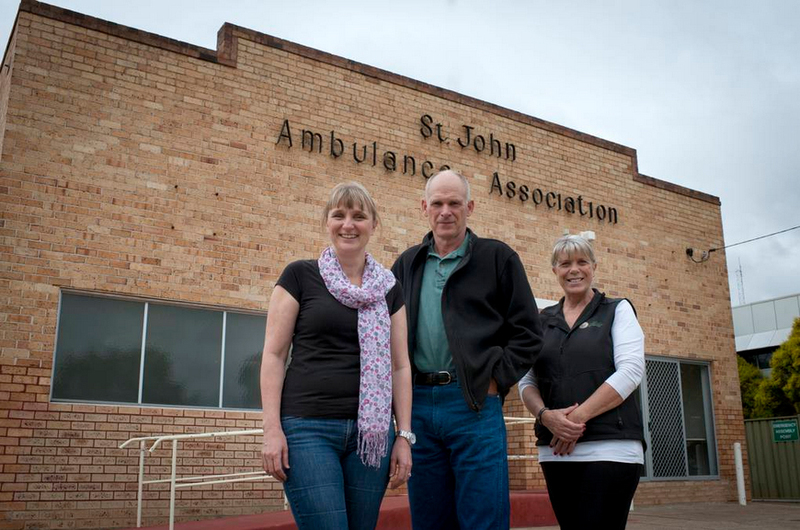 Natural resource management group Wheatbelt NRM has moved its offices to the former St John's Ambulance building in Fitzgerald Street, Northam. The motivation behind the shift was to get closer to the community. Up until this week, the office of Wheatbelt NRM was at the Department of Agriculture and Food on the York Road. The group's chief executive Natarsha Woods said it now had space and its own identity. "We were looking to move because we needed to send the message we were a community group, not part of the government," she said. "As long as we physically sat with government, we looked like government. "But we have a board made up of people from all walks of life, from farming to tourism to the environment. "We're focused on working with landholders, carers for the environment, indigenous groups, farmers, councils, land care and grower groups." Ms Woods said the move would not have been possible without the help of the Shire of Northam. "We need to acknowledge the shire for negotiating a fantastic deal with us, allowing us to renovate a building which would otherwise have been left empty for years," she said. Some of the projects Wheatbelt NRM would work on this year included helping farmers improve soil health, making their systems more robust, Ms Woods said. The group was also applying to become part of a new federal government initiative called the Green Army. The initiative provided training and skills to young people and aimed to create a workforce for the environment at the same time. If successful, the project would manage bridal creeper along the Avon River, an introduced weed choking the waterway. Already the group had spent months removing bridal creeper along a 150-kilometre stretch of the river between Beverley and Toodyay.